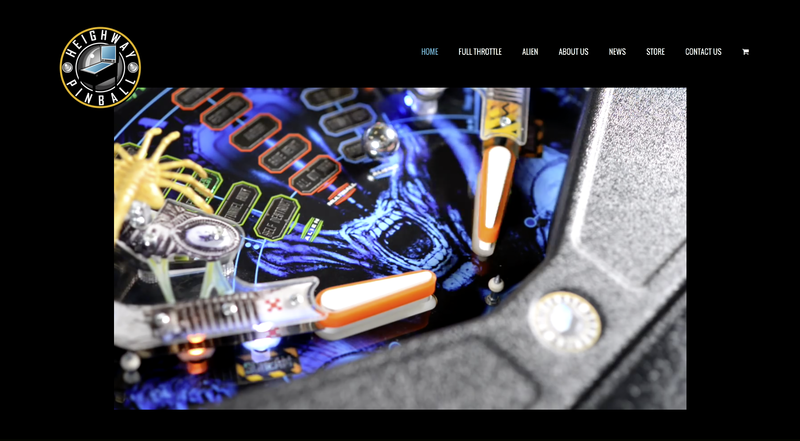 We were excited to work with Heighway Pinball on the grand launch of their new look website and the release of the Alien Pinball machine, scheduled to coincide with the 35th anniversary of the cinematic release of the first film in the franchise. 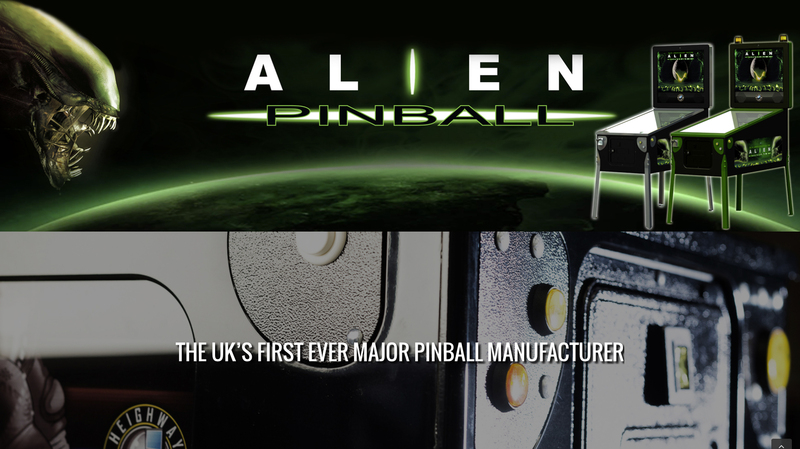 As the UK’s first ever major pinball manufacturer, Heighway Pinball wanted the relaunch of their website to occur in conjunction with their exclusive Alien Pinball launch party scheduled for Thursday 13th October in Chicago, Illinois. The event and website relaunch had a very tight turnaround of one week. With a tight deadline and a really exciting product to build the design around, we set about creating a website that would live up to the anticipation of the event. 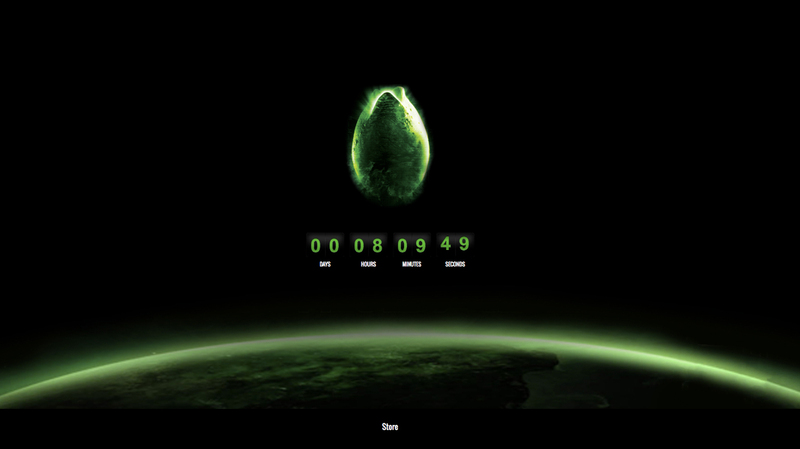 Right away, we created a ‘Coming Soon’ page for the domain with a digital countdown clock beneath a Xenomorph egg, signalling the imminent launch of the website and the new arrival of the Alien Pinball game. As well as designing and building the website, we also host the site on our servers. When the website launched at 9.15pm in Chicago and 3.15am over here in London, we were awake and monitoring the process to ensure a smooth transition. For the homepage, we embedded Heighway Pinball’s amazingly cool video, which automatically plays as soon as anyone visits the site. With all the excitement in the build-up to the launch, this video would provide the perfect entrance into the website, showing off the level of detail invested in the design and construction of the game to fans that would be difficult to express to through images alone. 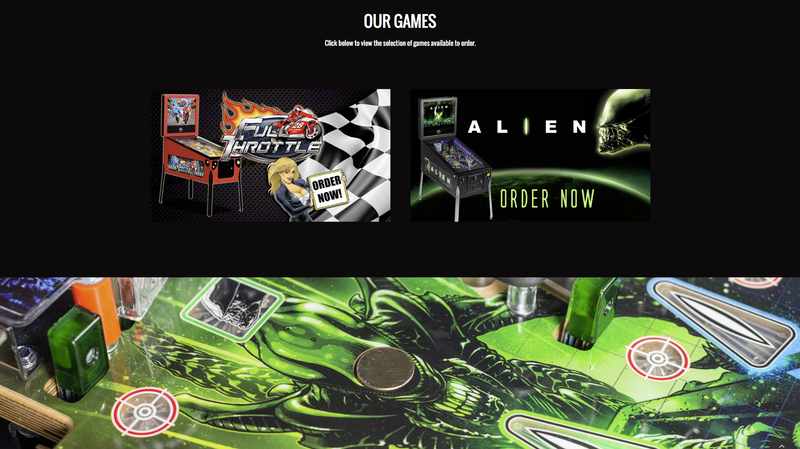 We also created store and product pages for the Alien game and Heighway Pinball’s other title, Full Throttle. 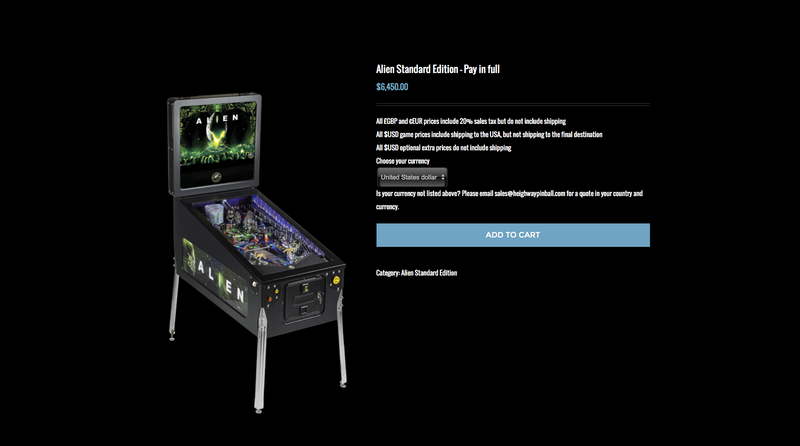 A unique selling point of these machines is that the game kits are interchangeable – so if you own the Full Throttle pinball machine you can easily remove the game kit inside and replace it with the Alien game kit. 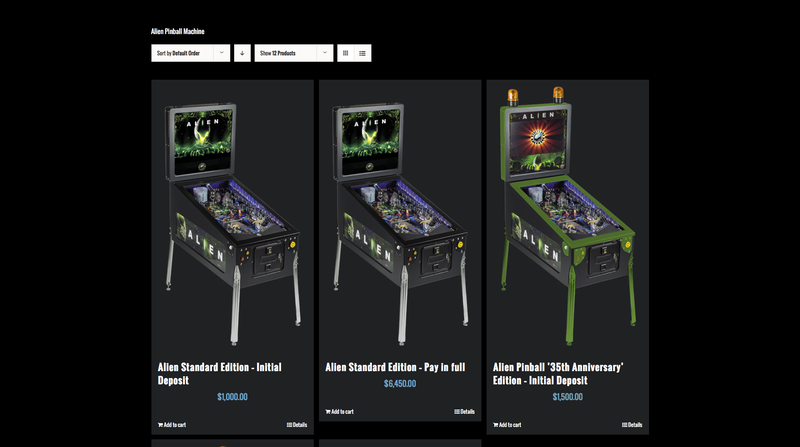 Each of the pages on the website dedicated to either the Aliens or Full Throttle pinball machines were designed around the aesthetic of the licensed brand and offered the different versions available for purchase – including the special 35-year anniversary edition of Alien Pinball, with its limited run of just 500 machines.